On the eve of the MLB trade deadline plenty of Hoosiers made news of their own. Sam Travis has had his name come up in several possible trades but Boston seems to have made their big move and he was not involved. The trade talks didn’t seem to bother him as he went 3 for 7 playing left field last night for Pawtucket. The official non waiver MLB trade deadline is not until 4pm today. If Travis is still with Pawtucket the weekend of Aug 10-12 he’ll be playing at Victory Field against the Indianapolis Indians. Micah Johnson, who knows plenty about switching teams, kept his hot bat alive last night. He followed Saturday night’s clutch grand slam with two more doubles for Durham. Summer League teams do not make trades but Sam Crail found out yesterday that he was invited to play at the Northwoods League Major League Dreams Showcase event on the South Division Team. Cade Bunnell seems to be making himself even more valuable to his Hoosier Baseball team. Bunnell threw 2.1 scoreless innings for Rockford last night to pick up his first Win. 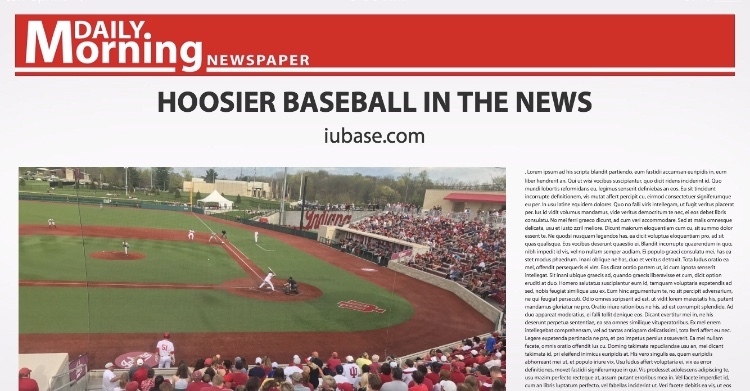 Finally, IUHoosiers.com did a year in review for all Indiana teams and of course Hoosier Baseball was featured. As always, check out @ProBallHoosiers for daily updates on Hoosier Baseball Alumni and all 79 Pro Ball Hoosiers across all sports.